After being hammered by Manchester City 4-0 in that first game of the season, Newcastle got a draw at home against West Ham, and then we beat Fulham at home and Aston Villa on the road, and in our next game against Hull City at home, 85% of Newcastle fans expected us to win. Spirits were high on Tyneside, and that’s sometimes a danger sign and we were absolutely hopeless in that game against Hull, especially in the second half, when we allowed Hull City to take all 3 points, after Newcastle were leading 2-1 at half time. It’s a similar situation at Newcastle at the moment, and after a terrible first half performance at Everton, Newcastle came back in the second half with an excellent display, and then we beat Cardiff City 2-1 and held a powerful Liverpool side to a draw yesterday, even though we played 50 minutes with ten men. And when Newcastle are flying high and expected to win – as we will be at Sunderland, who have lost seven of their first eight league games – then that’s a definite red flag. It will not be an easy game on Sunday, and the situation is similar is what happened in our last derby game when Sunderland had lost eight and drew only three of their previous eleven Premier League games, and of course they went away 3-0 winners. So Alan Pardew will have to make sure there is no over-confidence on Sunday, but that we go into that game to try to make up for what was an atrocious home performance last time we encountered Sunderland. 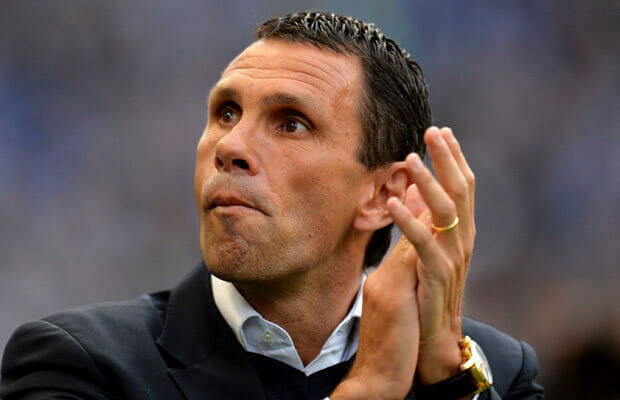 And we’ll not even mention that while Gus Poyet, the new Sunderland, was at Brighton, they beat us twice in the FA Cup over the last two seasons. Joey Bradfield is a reader who’s attending Sante Fe College in Gainesville, Florida studying Psychology and for part of his work he has created a short questionnaire, which will take just a few minutes to complete. Please take the survey here. Thanks. If we approach this game in the same manner as we did the ‘Fool, we will win it. The scum are in a state of shambles, trying hard to re-organise, under a brand new manager. Forget their previous 7 games, they will be up for this game as if their lives depend on it. We have to give them the same respect as we gave Liverfool and then go out and destroy them. It wont matter if its a 0-1 to us or a 0-5 (obviously a lot happier) as long as we play a controlled game as we did on Saturday. Well I’v got this game down as a comfortable win for the Toon. Worthy 4-1 winners, or at least win by 2-3 clear goals. We are slowly building up some consistency to our performances now as a team and as individuals. Sunderland are absolute dross aswell at the minute by the way. They are by far the poorest team in the league for me. I personally think we will be too strong for them this year and Remy will destroy them. Hopefully Pards perseveres with Benny down the middle. I like Cisse, but he is sadly out of form and a front 3 of Remy, Gouff and Benny has the potential to interchange seamlessly and at pace, which is difficult to defend against, particularly if you are stupid enough to play for Sunderland. Ok, ok, that last crack was a bit naughty, but there’s potentially plenty of pace, skill, movement and goals in that front 3. Watching the shape Norwich keep, their movement and composure on the ball and passing, I think Newcastle could do far worse than move Pards upstairs to fill the void left by the departure of Llambias and bring back Hughton as manager. I think he could get this group of players playing well and Pardew, now so schooled in the ways of Ashley’s ownership , could prove a top Director of Operations. I see the Shields Gazette are reporting that JK was at the Swansea/Sunderland game -scribbling notes down. I don’t think that we would be interested in any Sunderland players or that any Swans players would be available or interest us. So it must be that JK is not scouting for new players but checking out the Mackems for next weekends game. I think what he is probably doing is beyond his brief – or what we believed his brief to be. Don’t know what to think about this good/bad/indifferent/alarmed. Jimmy, From a Football point of view, you are probably right mate. Wether Ashley would trust Pardew over the man he already trusts, Joking Ear, would be difficult to judge. That Chris Hughton would make a superb Manager, is of little doubt, he has proved it since being released by us, way back when. To me, the main question would be – “Would Hoots even want to come and work for a club that shafted him at the first oportunity”? He is doing really well at Norwich; is making a name for himself under an owner who likes to see positive football and his future looks bright. WHY would he want to come to NUFC where mid-table mediorcity is the hieght of our ambition?? The very fact of our limited ambition is already causing us problems with our better players. They want to be playing in the CL, winning Cups, playing on the big stage – NUFC is not the team to be at if you are an ambitious player. Why do you think Cabaye wanted out in the close season – we have stated we have no ambition beyond top 10. It is a self defeating goal, one not shared by any player worth his salt, thats for sure. It is a derby away from home so it will be a very tough game. Though most of their players will have no idea what this will be like you can bet the manager is telling them that winning this one will make up for not winning the last seven so they will be very motivated. We need Remy up front with Ben Afra behind him. I’d also like to pre empt the first dangerous tackle by Cattermole on Hatem, Cabaye or Tiote by asking the question of the ref whether he is prepared to send someone off in the first 30 seconds of the game. We all know it is coming. Clough claimed that as your first priority, you get your back room staff sorted. Pardew running the day to day operations, Hughton the first team, Carr as chief scout and Joe assessing our opponents, sounds alright to me, and all men you could trust and as well as being affordable, you’d think, which seems essentially to be your rule of thumb. Feel free to take action on this immediately. There is no void wbere Llambiaa was – Kinnear’s filling that role as well as the DoF role he was given. And, Mr Tuff, it appears that he still had tine to be at Swsnsea – doing what, we can nnly speculate! I’d have thought he’d have been better at SJP on Saturday rather than reporting on the forthcoming opposition. If he’s had time to he there then he’s clearly not doing what he!s supposed to be doing as DoF and / or contributing his wisdom to the develpment of the club’s marketing strategy! Speaking of which, who says we’re not chasing additional revenue streams? They were thinking about getting Ross Noble and Sarah Millican to do a gig at the Park but decided that there see enough comedians there alread. What a shambles – thanks Ashley. Joe filling the Llambias role, as well as DOF. Hee, hee, good one. jimmysmith…… Kinnear is an owner’s dream, the perfect employee who could save. Ashley millions. You can just imagine a board meeting, Kinnear acting as CEO, DoF, FD, Marketing Director, Commercial Director, Communications Director, Secretary,Operations Director and Ashley – it’s probably too much to expect Kinnear to take on the role of Owner just now! It reminds me of the Tommy Cooper hat sketch – priceless. But Cooper was a professional clown whereas Kinnear..
Hughton doing really well at Norwich? The rumour is he’s got three games to save his job. On paper and on form we should walk it but this is derby and form goes out the window. They will be more than ever fired up. They will want to prove to their new manager and their fans that they are still good enough for the Premiership. They will be thinking back to last year and how their win against us kick started their season, albeit very late, and saved their skin. This match could be ‘after the Lord Mayor’s show’. First time I have been on since Saturday, thought we did well. First half we were a match for them. A fairly even first half, but had we held on till half time you couldn’t say it wasn’t undeserved. Don’t have any arguments on the pen or sending off, yeah Suarez made the most of it, but MYM was stupid to put his hand up and drag him even slightly in that area. Tiote, had a good game, but what was he doing jogging back into position and playing Suarez on? Had he been down with a knock? Second half was a far scrappier affair, and we did well to survive. I wouldn’t say we defended well as such, we were very scrappy and a bit last ditch, but everyone put in the graft which is what you need in those situations. Dummett did well when coming on, and great to see him score against a big side, lets ease off on the ad though as he still has a lot to learn and a lot of developing to do before he is a regular Premier League player. Hughton doing well?? I agree with Bills, he is under pressure reportedly, and isn’t too far away from the chop. I like the bloke but would not have him back here. He plays a direct style of football mainly, which is why he did well here with Nolan, Barton, Carroll etc. Wouldn’t work with our current squad. His problems at Norwich are coming from him trying to play more football with his new signings but not really being that sot of manager. Sound familiar?? Sunderland? We’ll beat those c$$$s no problem haha. 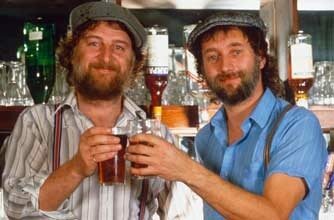 You’re buying the pints come Sunday. Our next 4 games are really tough. The Scum, Chelsea, Man city (cup) and then Spurs. I’d be happy with 4 points out of the 3 league games and hopefully a bit of revenge on City. If we show commitment like we did against Liverpool that 4 points could be 6, obviously Newcastle are unpredictable lately so who knows. poyet has only ever faced our second string teams. be totally different on Sunday with our best team possible out on the pitch. any news on Colo returning?